Weekend Review: Did Your IPL & England Predictions Win You Some Big Cash? Our big money Premier League pools might have taken a break this weekend, but there was no shortage of prizes paid out in another busy few days of sporting action. A total of £470 was won in our three England v Czech Republic pools, £650 across our weekend football Coupons, £750 in the three IPL Fantasy Pick 5 games we ran and £250 in the £1 TV Fantasy racing on Saturday. With more than £2,100 won in our standout pools alone this weekend, were you one of our big winners? 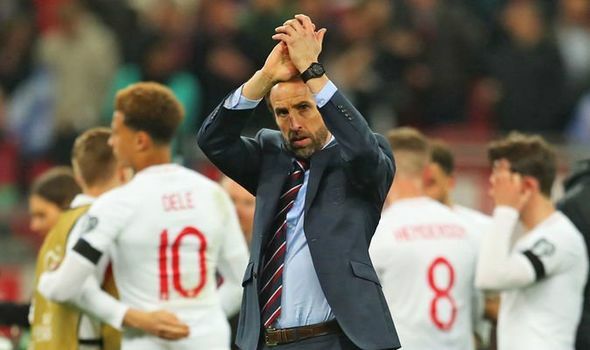 England v Czech Republic pools: England got their Group A Euro 2020 qualifying campaign off to a flying start, with a 5-0 thrashing of Czech Republic at Wembley. Raheem Sterling put England ahead after 25 minutes, before Harry Kane extended the lead from the spot on the stroke of half-time. Sterling then completed an impressive hat-trick before a Thomas Kalas own goal completed the rout. We ran three pools for Friday’s clash, including a Match Pool which had £100 guaranteed in the £2 table. Platters30 picked up £50 with a narrow victory, thanks to correctly predicting a win for England, Kane to score at anytime, a penalty to be scored which was their Banker, and Patrik Schick to be booked at anytime. Ballj won £63 in the £10 pool and CliveCooper £69 in the £25 table. In our Quickie, where you had to answer 10 yes or no questions on the match, it was a four way tie for first prize, with Mike, Jazzle, Platters30 and gary07 splitting the £50. Correct yes predictions in this pool included will England be leading at half-time and full-time, will Czech Republic pick up the first yellow of the match and will Kane score. Our #OneQuestion Friday: Winner Takes All was also split with Smudger5 and MrElvis winning £30 each for correctly predicting the second half index of 98. This was based on how many goals, yellow cards, corners and shots took place in the second-half, with goals scoring 20 points, corners and yellow cards 5, shots on target 3 and off target efforts 1. Have a crack at our same offering of pools for tonight’s Montenegro v England, with a Match Pool, Quickie and Winner Takes All to play. Football Coupons: All three of our Saturday, Sunday and Football League Coupons beat the £100 guarantee, meaning bigger prizes paid out. In our international £2 Coupon on Saturday, it was yet another tie with seven players sharing the £150. All seven - Rjgiddings, The Yog, Gailshopes, bookiebasher, MrElvis, Ballj, Hanners898 - correctly predicted all eight results, all Banking Malta to beat Faroe Islands to score six points, while there were routine wins for favourites Italy, Republic of Ireland, Spain, Greece and Switzerland. BookieBasher won £60 in Sunday’s Coupon, with seven correct match results, including wins for Wales, Scotland and Northern Ireland. GeraintR was the victor in our League One and Two Coupon, winning £51 for eight correct predictions, including predicting wins for Blackpool, Rochdale, Portsmouth, Tranmere and Crewe, who scored eight points as Banker after beating promotion chasing Mansfield. IPL Fantasy pools: The IPL got underway on Saturday with a bang, as defending champions Chennai Super Kings trounced Royal Challengers Bangalore by seven wickets, after bundling them out for 70. Veteran spinners Imran Tahir (3-9) and Harbhajan Singh (3-20) were the chief tormentors with the ball before Ambati Rayudu top scored with 28 to lead CSK to an easy victory. Callmeal scooped £55 of the guaranteed £100 in our £2 Pick 5, with top performers Rayudu, Ravindra Jadeja as Captain, who took 2-15 to score 234 points and Tahir - who added 126 - scoring big for their team. Kolkata Knight Riders chased down 182 for the loss of just four wickets to secure a final over victory against Sunrisers Hyderabad. David Warner scored 85 on his return for the Sunrisers as they posted 181-3, before Nitsh Rana added 68 for the hosts, who were well behind the required rate before Andre Russell smashed an unbeaten 49 off 19 to lead KKR to a remarkable victory. SPA picked up £53 of the guaranteed prize fund in the Pick 5, with Rana, Warner and Russell as Captain firing them to victory. Rishabh Pant’s blistering unbeaten 78 off 27 balls, which included an 18 ball half-century, led Delhi Capitals to an impressive 37 run win at Mumbai Indians. Aside from Pant’s heroics, Colin Ingram chipped in with 47 as the Capitals posted 213-6 and despite a 50 from Yuvraj Singh, two wickets a piece from Ishant Sharma and Kagiso Rabada restricted Mumbai to just 176, falling way short of the target. SPA continued their Pick 5 winnings, adding £55 to his weekend kitty, with Pant as Captain scoring his team 370 points, while Krunal Pandya and Mitchell McClenaghan also chipped in with more than 50 a piece. In our £100K IPL season Jackpot, where you need to make 12 correct predictions to win the Jackpot, 30 players are still in with a shout, answering yes to if CSK will beat RCB in match one and if any team will be bowled out for 80 or less, which RCB duly obliged in the opener. TV Racing Fantasy: Our £1 Saturday TV Racing prize fund was split five ways, with Anthcoates, gailshopes, snowy1958 and wolfish each winning £39, which had £250 guaranteed. Keep an eye on our daily Fantasy racing pools, with three to play each day, and more than £100 in prizes up for grabs in every £1 pool.